The Warwick PA Line GK MB is a completely lined weatherproof PA combo bag for GK MB 150/SE with a cushioned shoulder strap and dimensions of 430 x 380 x 215mm. This PA combo bag is constructed from a strong, water-resistant RokTex surface material, in black, and features a black soft-knit jersey inner lining. 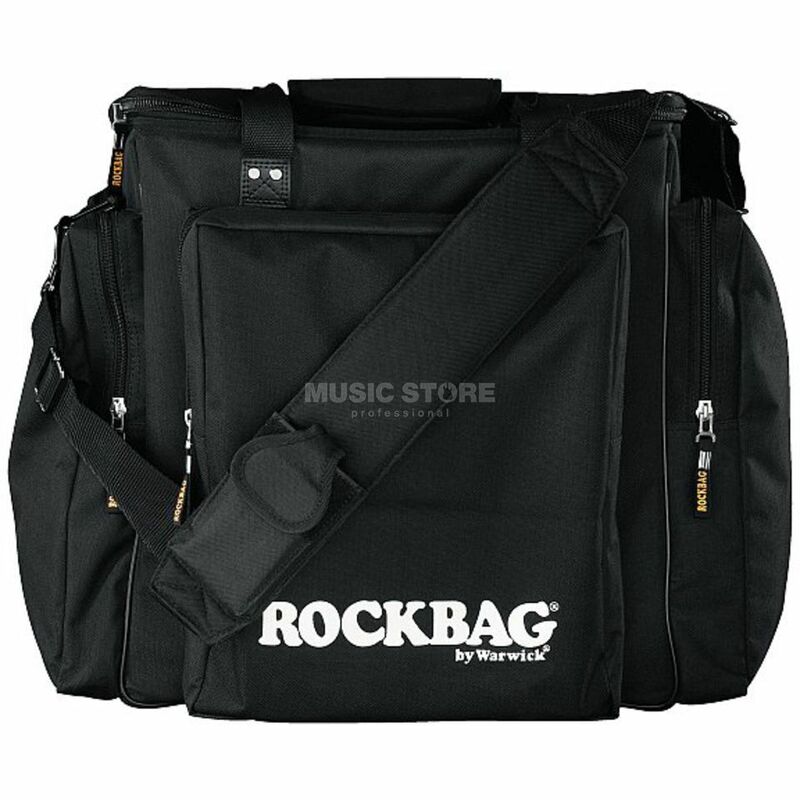 Protection is provided thanks to 5mm of padding, as well as a wide 2-way zip with a nylon zip hanger and printed RockBag logo. A padded twin handle is included, along with a detachable and adjustable shoulder strap with non-slip shoulder protection and mobile phone pocket. Further features include three outside zip compartments, metal hardware, PVC piping, and pyramid feet.